Desta is one of the pioneer female artists who dedicated her life to art. She had her very first solo art show while still a student in The Fine Art school of Addis Ababa in 1969. After her graduation, she went on to study for her Bachelor degree in fine arts from California Lutheran University. of which was the life time achievement in art tribute bestowed on her in 2014.She paints both in oil and water colors and is known for her use of vivid colors painting beautiful scenes of everyday life. 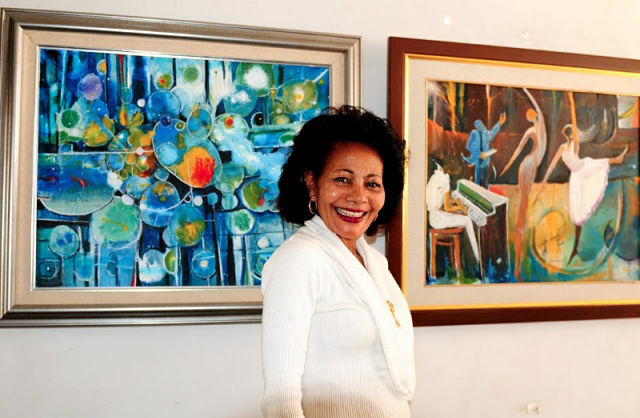 artist dedicated to her profession but has also been known to work in the public relations field serving the Ethiopian Tourist Trading enterprise as the head of the department pre. Her patience and perseverance are exemplary to all who know about her resilience working as an artist in difficult times. Desta has not only made her mark on the Ethiopian art scene but has also given validity to the millions of girls who dream of becoming “somebody” in the field one day. Mark Zuckerberg is co-founder and CEO of the social-networking website Facebook, as well as one of the world’s youngest billionaires. Why have a corporate culture?